Been stuck inside all winter? Want to get a little fresh air and stretch the legs? Come walk the trails of the Scioto Grove Metro Park on Sunday, March 31st. Frassati will meet at the Arrowhead Picnic Area and hike till around 4:30 or 5. Bring a water bottle and good hiking shoes and get ready to remedy the spring fever! Meet us at Bareburger to compete in a friendly game and use your trivial knowledge to help us win! Directions: 165 Highbluffs Blvd is off of US-23. When you turn into the facility just head back to the 7-story building. There is a volunteer sign in desk to your left as you enter where we can put on name badges. Please take the elevator to the sixth floor and when you get off the elevator turn to your right. The Activities Assistant will meet us there and let us know what all we will be doing. We’re going to the movies to see an inspiring true story about a former abortion clinic worker who transformed to become a powerful pro life advocate. Join us for 10:30 Mass at the cathedral before we head across the street for brunch at SuperChef! Come for Eucharistic adoration, confessions, beautiful Taize chant and Dominican Compline (night prayer), followed by fellowship and drinks at Pat and Gracie’s. Do you enjoy playing board and card games? So do we! On April 26th at 6:30pm, join Frassati at Table Top, a game cafe! Just spend $6 on food or drinks and we can enjoy their extensive game library together! You are welcome to come for one game, but you’ll most likely stay for more! Join us for devotions starting at 1:30 or come sit with us for Mass at 3:30. Be one of the first 10 to sign up here (six spaces remaining)! Team up with us to escape from Trapped Columbus’ newest room! We’ll have one hour to get out of a secret, underground government lab. To join us, sign up below and pay $14.50 to Sarah Spaulding or Michael Tripepi. Space for this escape room is limited to 10, so don’t wait to sign up! If we make it out alive, we’ll go out together for something to eat afterward. This is an event we look forward to every year! The Greater Columbus Right to life is hosting a free dinner at Villa Milano at 6pm on Monday, June 10th.This year, the pro-life doctor, Dr. William Lile will deliver the keynote. In 1999, Dr. William Lile and a partner bought out the practice of the largest provider of abortion services in Pensacola, Florida. Along with putting an immediate stop to abortion procedures and referrals at the clinic, Lile and his partner included a clause in the contract: the man who at one time had led the area in abortions had to agree to leave the region if he wanted to keep trafficking in abortion.Don’t wait to sign up! Our reserved tables seat 20, and this event fills up every year! Join us for 10:30 Mass at St. Andrew, and then meet us by the entrance before head over to City Egg together for brunch! Join us at 6pm as we support the parish at the fish fry, and stay for Stations of the Cross at 7pm. St. Patrick Parish serves baked and fried fish with a side of French fries, baked or sweet potato, macaroni and cheese and dessert for $9. Yum! Join us in the Old Worthington Library Meeting Room for a light breakfast as Fr. Raymund Snyder presents on angels and demons. Frassati will be participating in the 40 Days for Life (40DFL) program this spring. 40DFL is a coordinated, national campaign to bring continuous prayer to local abortion clinics in more than 500 cities across the world. In Columbus, the program is sponsored by Greater Columbus Right to Life. Our group has adopted one hour, and we hope to see many of you there. Please see http://www.40DaysforLife.com/local-campaigns/columbus for more information. 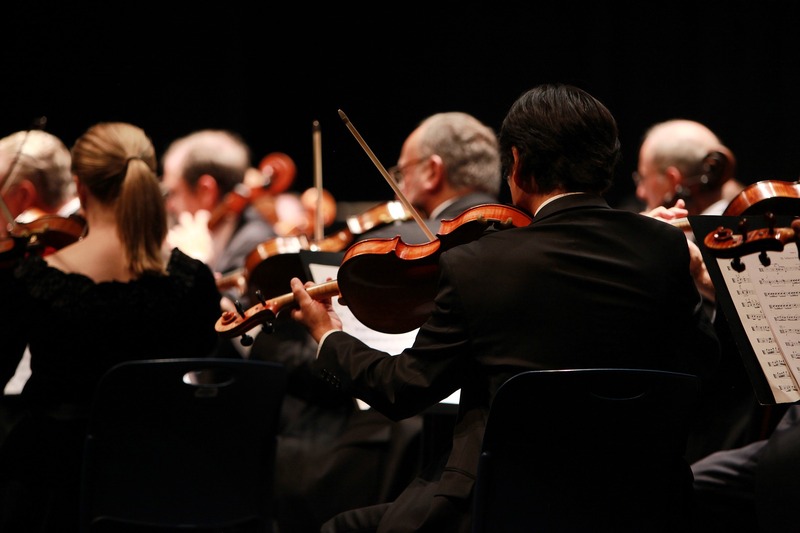 The Columbus Frassati Society will enjoy a night out at the symphony to hear Mozart’s Requiem in concert! Meet up for a quick dinner at Market 65 (65 E. State St., Columbus, OH 43215) at 6:30 before the concert starts at 8pm, or come directly to the Ohio Theatre (39 E State St, Columbus, OH 43215). We’ll transfer your ticket to you electronically beforehand. Since tickets need to be purchased in advance, please sign up here and pay Sarah Spaulding $13 by March 23rd! How to Buy Tickets in our block: Send $13 via PayPal to sarahsfrassatiwallet@gmail.com (choose the “send money to a friend” option), Venmo to @sarahsfrassatiwallet or pay Sarah in person. Please join us and invite a friend! Mozart’s last and unfinished masterpiece is haunting and enigmatic. The Columbus Symphony Chorus and a quartet of vocalists lead this emotional journey, preceded by a clever piece by Mason Bates that combines technology and live sound to depict an orchestra of historic instruments. Been stuck inside all winter? Want to get a little fresh air and stretch the legs? Come walk the trails of the Scioto Grove Metro Park on Sunday, March 31st. Frassati will meet at the Arrowhead Picnic Area @ 2pm and hike till around 4:30 or 5. Bring a water bottle and good hiking shoes and get ready to remedy the spring fever! You’re invited to join us at 7pm at the Chatham Village party house for a game night! Park in the lots on Chatham or Manor Lane (just off Kenny Road), and the party house is in the building by the pool if you park on the Chatham Lane side or behind 991 Manor Lane if you park on the Manor Lane side. We’ll provide tons of games and snacks. If you’d like, please feel free to bring your favorite game, snack or drink to share too, and invite a friend. We hope to see you there! Call/text Sarah if you have any difficulty finding us! Enjoy winters splendor on this 6-mile trek from Old Man’s Cave to Ash Cave. Layered clothing and good footwear recommended. Refreshments are available at Cedar Falls for a donation. A shuttle bus returns hikers to Old Man’s Cave. We’ll carpool together from Columbus at 8am and go to Old Man’s Cave to begin the winter hike! We’ll begin the hike around 9:30am. Email columbusfrassatisociety@gmail.com if you’d like to ride over with us. Otherwise, we’ll meet you there. Sit with us for 11am Mass at Our Lady of Victory, and then meet us at the main entrance before head over to Cambridge Tea House together for brunch! The Columbus Frassati Society is hosting a game night! You’re invited to join us at 7pm at the Chatham Village Condo party house (978 Chatham Lane, Columbus, OH 43221). Park in the lots on Chatham or Manor Lane (just off Kenny Road), and the party house is in the building by the pool if you park on the Chatham Lane side or behind 991 Manor Lane if you park on the Manor Lane side. We’ll provide tons of games and snacks. If you’d like, please feel free to bring your favorite game, snack or drink to share too, and invite a friend. We hope to see you there! We’ll attend Mass at St. Patrick before walking together to Pat and Gracie’s (340 E. Gay St., Columbus, OH 43215) for dinner. Meet up outside the church entrance on Grant Ave. before we walk, or catch up with us at the restaurant. We hope to see you around 7:45pm for dinner even if you are planning on attending a different Mass! We’ll enjoy brunch as Lee Marsh presents a talk on Theology of the Body in meeting room 3B at the Main Library (just down the street from St. Patrick). The Columbus Frassati Society will enjoy a night out at the symphony to hear Handel’s Messiah in concert! Since tickets need to be purchased in advance, please sign up and pay by November 3rd! If you’d like to join us, please sign up on the google doc and pay Sarah Spaulding $13 for your ticket online via PayPal to sarahsfrassatiwallet@gmail.com (choose the “send money to a friend” option), Venmo to @sarahsfrassatiwallet or pay Sarah in person. Meet us at 7pm at Daily Growler to compete in a friendly game and use your trivial knowledge to help us win! Order a drink, and bring something to eat or get delivery if you’d like something to munch on while we play. We’re excited to try out a different night at a new location! We’re going to Worthington for Mass this weekend. Meet us on the High Street side of the church after Mass, and we’ll walk to Over the Counter together for brunch! Meet us at Noodles and Co. at 7pm for a quick dinner before we head to St. Andrew for an hour of adoration and benediction at 8pm. 3 events still this month! We have “sold out” of our tickets to the Crew match this Saturday, but please join us at the other three events we have coming up yet this month! We’ve had a lot of success already reserving tickets to the film Unprotected, but we still need to get 52 more tickets reserved before the screening is confirmed. Please think about reserving a ticket (or several) and inviting friends, family or friars along! The flyer is attached as well in case you have someplace to post it. Maybe even prominently on your wall at home before your next party? That’s what I’m doing…. But really, if you think it’s important to share the message of Humanae Vitae with the public here in Columbus, please consider supporting the film. If we don’t get a total of 78 tickets reserved by 10/11, there will be nowhere to watch it in Ohio still! Cost: FREE Admission to Art Museum! Meet up with us by the Grant Ave. entrance after 10:30 Mass at St. Patrick, and we’ll walk over to the Columbus Museum of Art to enjoy brunch and the exhibits. The museum is FREE on Sundays! We are hosting a one-night special showing of Don Johnson’s newest documentary, Unprotected, a film that explores the fallout from the widespread use of contraception starting with the sexual revolution. Please join us and invite friends! If you’re able to, please reserve tickets before 10/11 so our showing doesn’t get canceled. If it does end up getting canceled, you won’t be charged by Tugg. If you’re able to, please purchase tickets before 10/11 so our showing doesn’t get canceled. If it does end up getting canceled, you’ll be refunded by Tugg. We’re meeting up at the Oak Coves picnic area at Highbanks Metro Park this Saturday for a hike. All are welcome, but this hike is especially aimed at anyone thinking about backpacking with us 9/14-9/16 at Zaleski State Forest. If you’re considering backpacking with us and want to break in your gear a little or if you just enjoy hiking with good company, please join us! Mass is at 7:30 PM followed by Eucharistic Adoration until 11:45 PM. The sacrament of Reconciliation will also be available after Mass. Did you know Pier Giorgio Frassati, our group patron, was an avid outdoorsman? He loved rock climbing, camping, hiking, and encouraging others to spend time in God’s beautiful creation. Join us for a weekend hiking and camping in the tranquility of Zaleski State Forest. Whether you’re an experienced backpacker or have just entertained the idea, this will be fun and doable for all. We will be hiking 10-15 miles over the course of 3 days. The plan is to get there Friday evening and camp close to the trailhead. Saturday will be our main hiking day (~10 miles), and Sunday will be around 7. We plan on getting back to Columbus in time for an evening Mass, 4:30 or 5pm. Experienced hikers will most likely have extra gear that can go around to others (if willing to share, please let us know), and we will be providing a list of equipment needed, along with provisions. Reed and Mario have over 300 backpacking miles under their feet on trail. If you have any questions at all, contact Reed (reed.b.thompson@hotmail.com) or Mario (mtraina9@gmail.com). Run or walk with us and support scholarships and financial needs of Pontifical College Josephinum seminarians! Register with the link under tickets and run with us or come to the race to cheer on our Frassati runners and walkers before we go to Sunny Street Cafe for brunch! We’ve gotten a great discount on tickets to watch the Crew take on the Colorado Rapids! If you’d like to join us, be one of the first 8 to sign up on the google doc and reimburse Sarah $16.25 for your ticket (cash / paypal sarahsfrassatiwallet@gmail.com / venmo @sarahsfrassatiwallet).